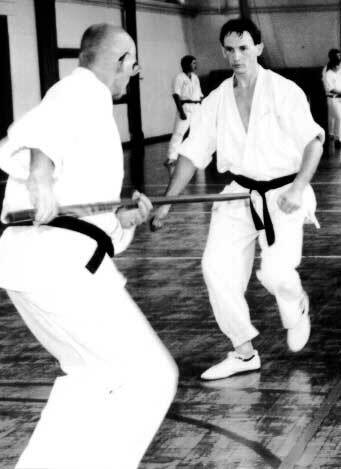 The use of weapons is amongst the most difficult, but interesting, practices in Karate. 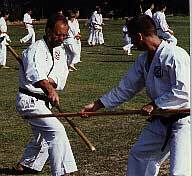 Shoto-Ryu uses a variety of weapons, including Bo, Bokken, Shinai, Knife, and Tai Chi Broad Sword. 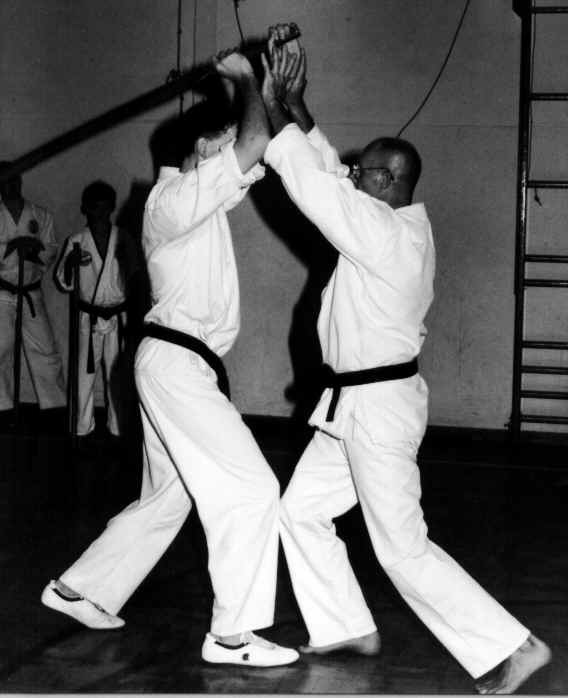 The Tai Chi Broad Sword is used solely in kata, while the Bo has use in both kata and kumite. But all are useful to encourage Ki, as your concentration is to the tip of the weapon and beyond. The Bo is thrust at you sharply, at the last moment you turn away. This is an interesting engagement. The person with the knife must enter in past the Bo. Your timing must be perfect to charge in under a sword as it is being raised .